I could live and breathe matcha #alldayerrday and upon hearing that Chef Pang of Antoinette has created a Fetish Matcha series, i promptly sprinted over. 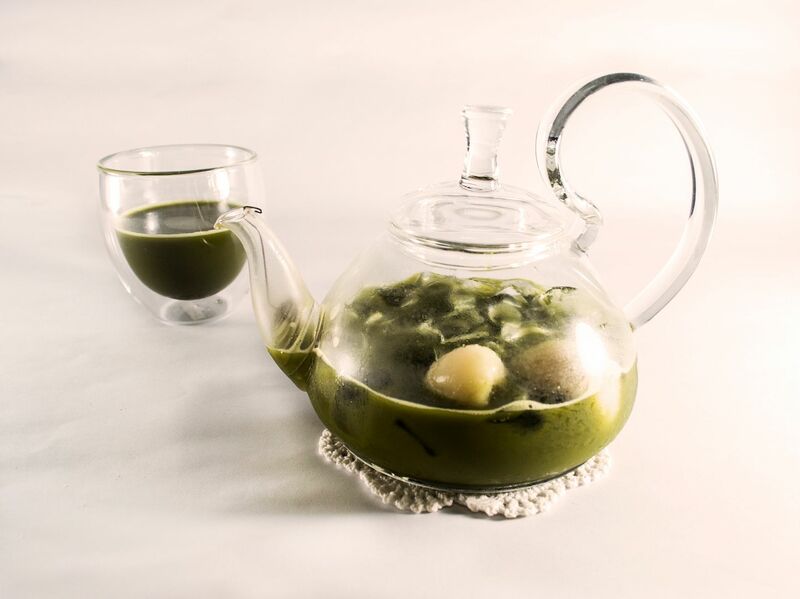 With 22 matcha creations, expect a full-sensorial sweet green tea experience from now till end July 2016. 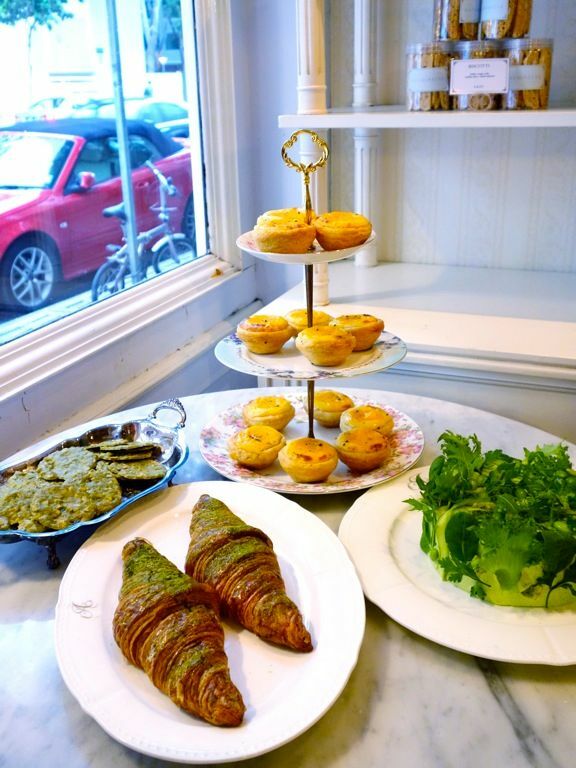 The selection is insane with hot items, cakes, pastry, confectionery and drinks. I was amazed at how the lovely tea (from Nishio Japan) was showcased in each of the items: some flavors bold and expressive, others subtle and unexpected. My my all that green! 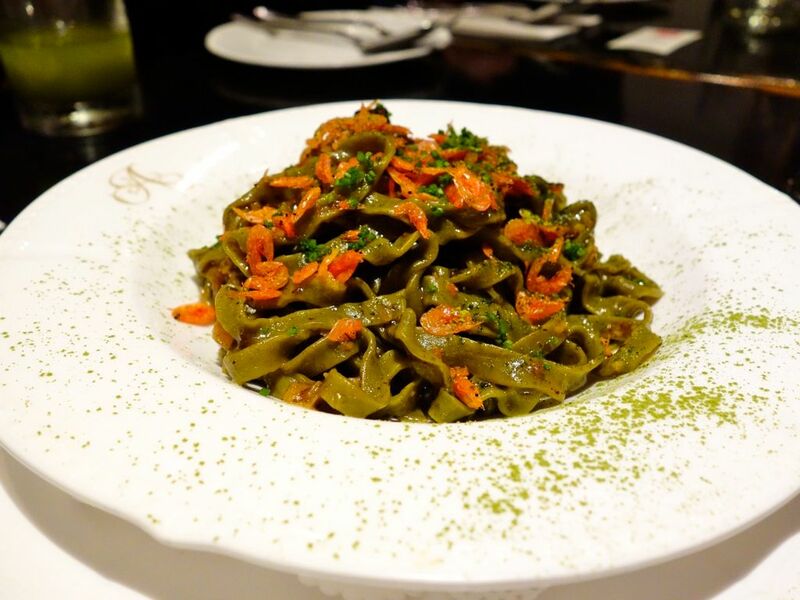 Starting with the hot items, the one and only savory green tea item is the Matcha Pasta ($26). 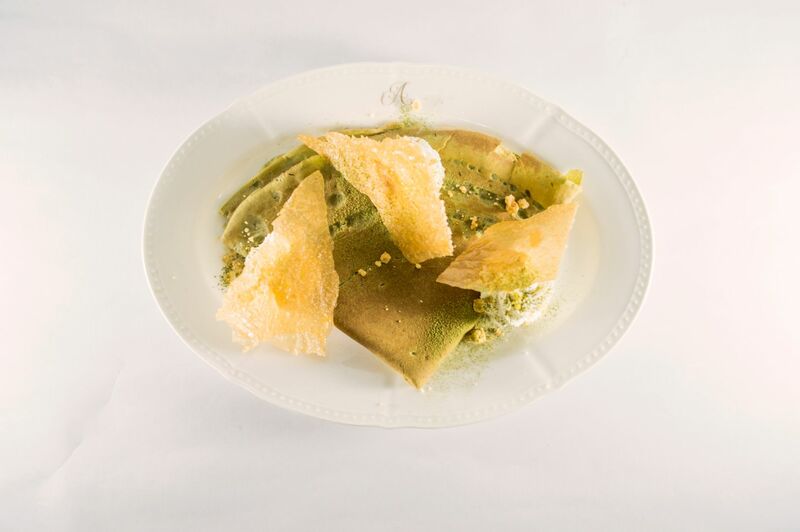 The hand-cut pasta is made with a matcha and flour dough, then garnished with marinated konbu and sakura ebi with matcha powder on the side. The morel mushrooms and black truffle paste give a deliciously earthy hint to the dish. Umami flavors in this one with a light green tea scent. Lovely. 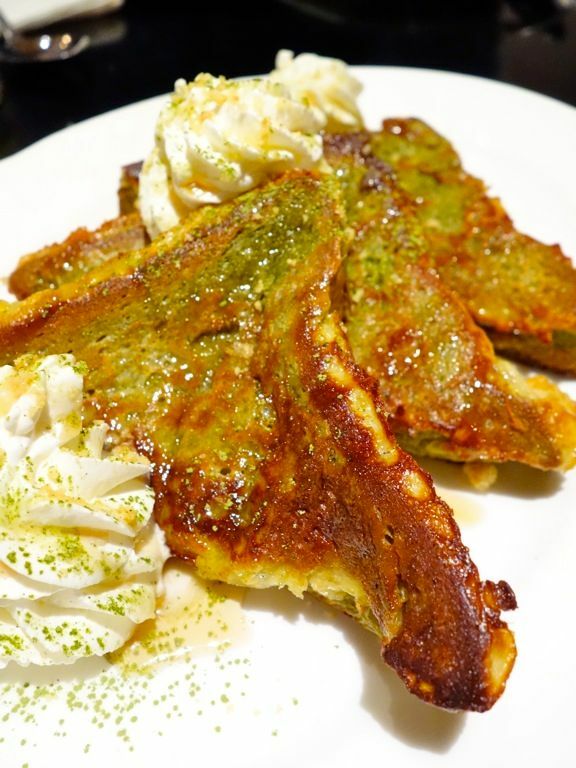 Even though the Matcha French Toast ($16) and Matcha Crepe ($16) are paired with the same sides of Vanilla Chantilly and maple syrup, they have vastly different textures and intensity of the green tea. I would certainly have both on the same table! 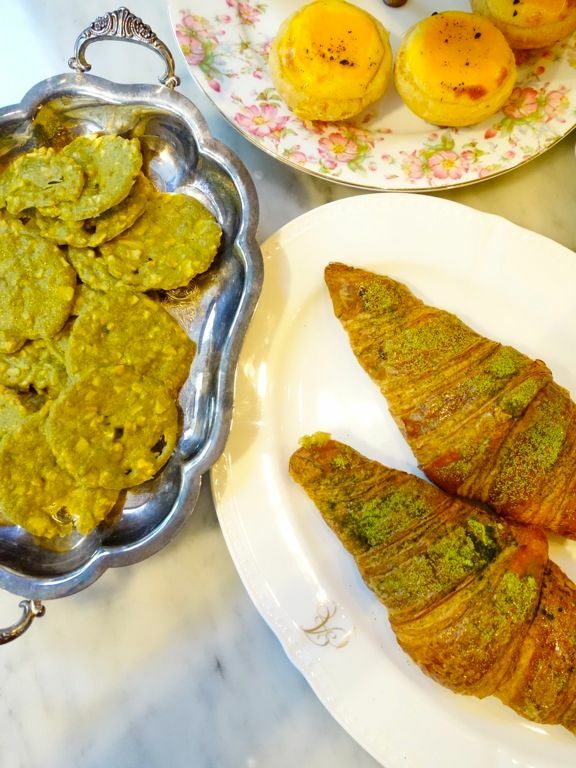 The gorgeous fluffy matcha brioche was intensely flavored with matcha and had a lovely crunch to it; the crepe was pillowy and smooth with French chestnut puree in the middle. Antoinette does one of the best crepes in town, if not the best! The Matcha Pancake ($15) didn't fare as well as they were flat and on the dry side. 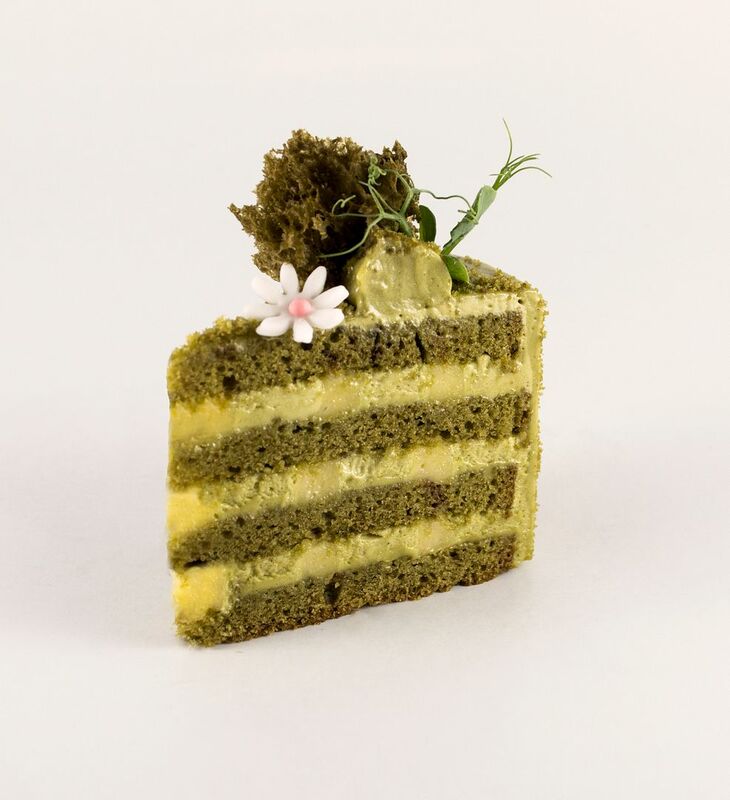 Cake lovers would dig Yucha ($8.00/$75.00[800g]), a Matcha butter cake layered with matcha crème mousseline and sugar free yuzu curd. The light tartness of the yuzu makes this cake a refreshing one. 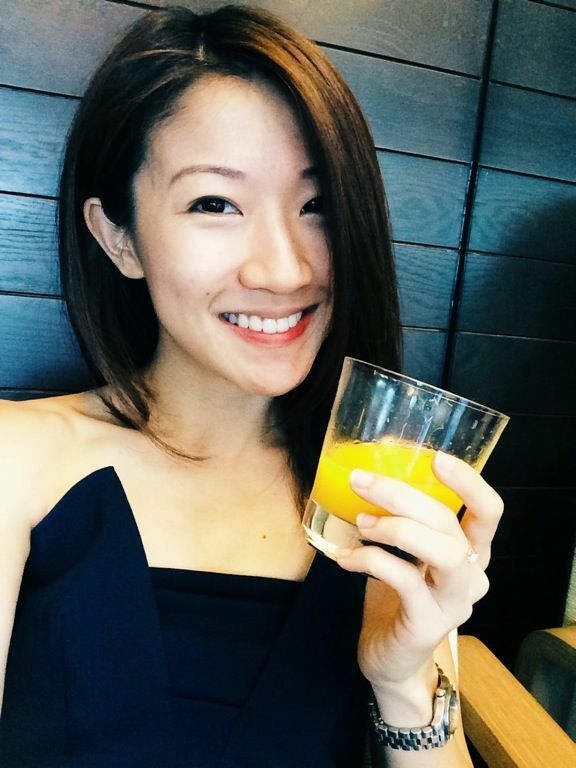 Pair it with Matcha Yuzu Lychee Iced Tea ($12.50) for an added burst of zing. Or how about a Matcha sponge and Strawberry pairing in the Matcha strawberry shortcake ($9/ $55.00). Well if eating in isn't enough, there are even more small bites for you to bring home. MATCHA chocolate bites (have the yucha and matcha truffle); Financier (THIS IS SO GOOD), Almond shortbread (love the crunch); Orange Almond Tuile; Croissant (HOT FAV); Macaron with mango jelly; Cake with candied chestnut; and Matcha Pop (Cake pop with more choc and almonds). 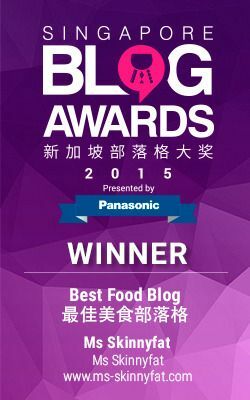 Oh and bring home that Matcha jam would you! 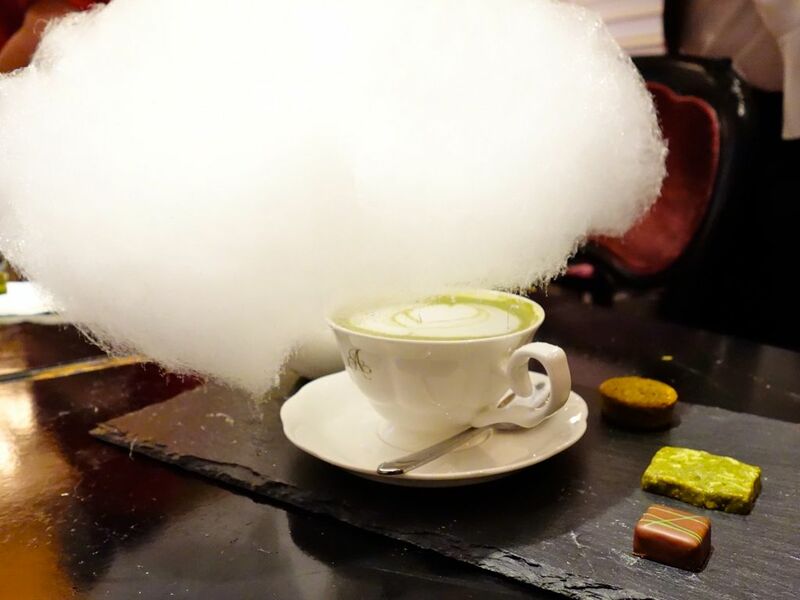 Something gimmicky on the a la carte menu is the Matcha 'Cloud' Latte ($22), an IG hit with the melting candy floss cloud dripping sugar everywhere but on your drink. Since when did candy floss become so expensive? 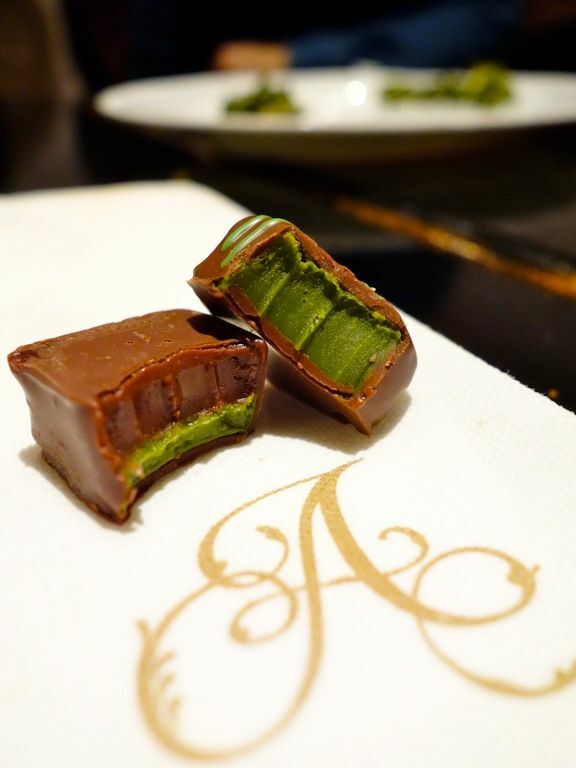 Not even if it's served with matcha almond cookie, matcha truffle and matcha financier. Skip this. You'll go crazy really. Maybe bring a few more people and grab other savory dishes. 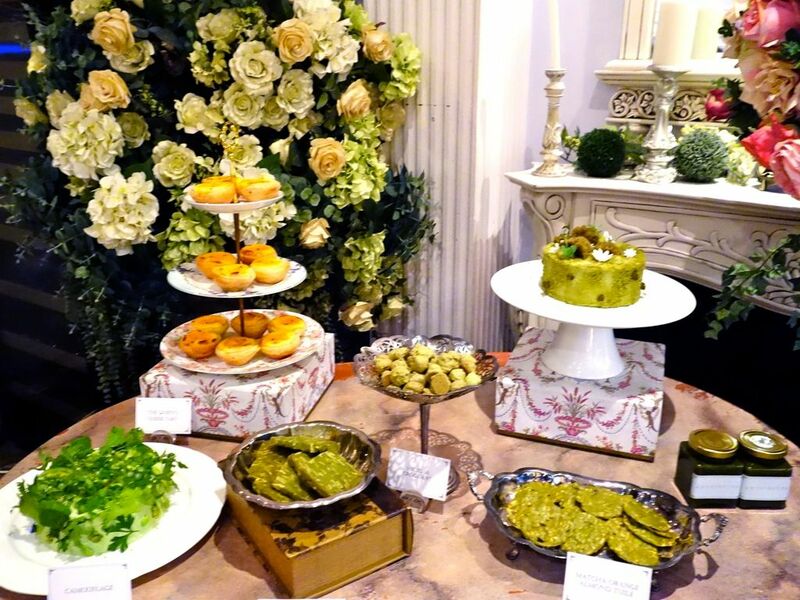 All items except the Matcha Latte and La Carte Fetish Matcha are available at Mandarin Gallery. 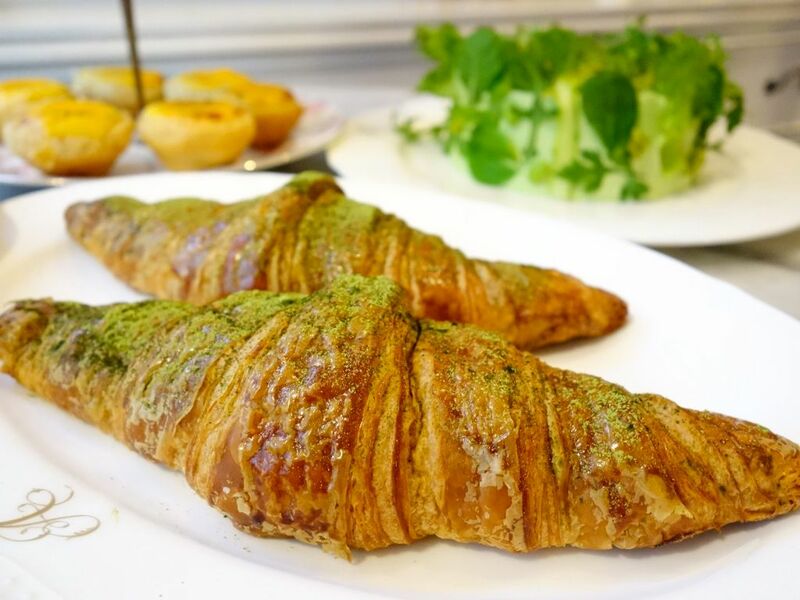 In support of the Singapore Children’s Society OCBC-TODAY Children’s Fund, “Food for Dreams”, a dollar will be donated for every order of some selected items; and $5 from the sale of each La Carte Fetish Matcha will be donated to the campaign. 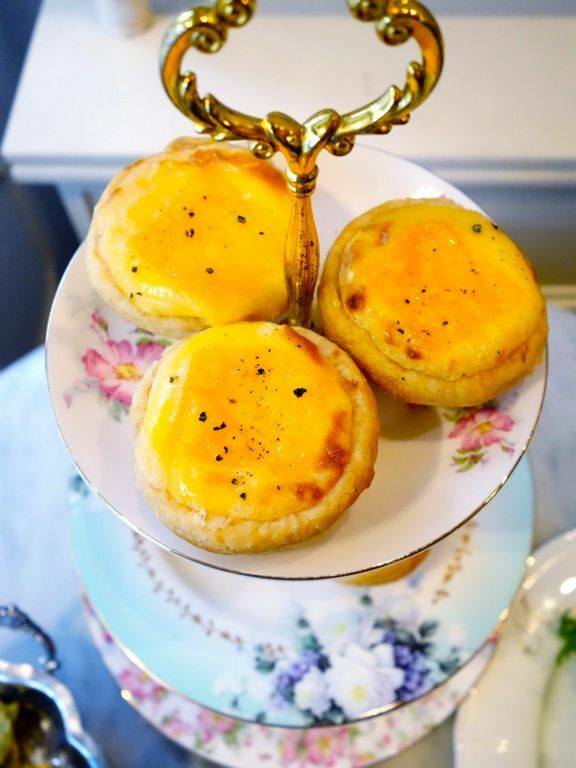 If sweet is not your thing, there's also the delicious 7 cheeses Queen's Cheese Tart with the most amazing layered puff pastry in Singapore.